The law firm of Hyderally & Associates P.C. consists of a team of committed and credentialed law professionals led by the expertise of Ty Hyderally. Representing cases before the courts in both the states of New Jersey and New York, and on the state and the federal levels, requires a solid commitment to protecting the rights of all the clients this law firm represents. Hyderally & Associates P.C. is committed to doing what is right, obtaining results and meeting the legal needs of each and every client. 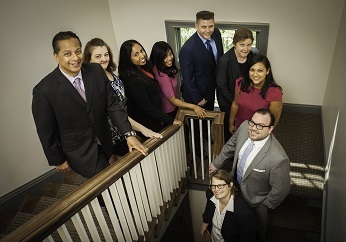 These employment lawyers in New Jersey provide a professional and highly reliable experience that has earned them a positive reputation in Northern, NJ and beyond. Why Hyderally & Associates P.C. Ty Hyderally has been nominated as one of the top Ten Leaders of Employment Law in Northern, NJ. With specific expertise in discrimination cases based on race, disability, gender, national origin, and ethnicity, Ty Hyderally is a leading employment lawyer, contributing to the field of law in major ways. As a Better Business Bureau (BBB) accredited law firm, Hyderally & Associates P.C. truly is a top employment law firm committed to excellence of service. The firm specializes in retaliation based on whistleblowing, for taking leave under the federal Family and Medical Leave Act (FMLA), for reporting discrimination and for applying for Workers Compensation—specialties with which the firm has years of experience in, having won many cases against mistreatment in the workplace. As an expert team of employment lawyers in New Jersey, Hyderally & Associates P.C. has made a solid commitment to two core mantras: ferocity and velocity. The firm is dedicated to winning cases ethically and with integrity, but also as swiftly as possible. Clients who hire Hyderally & Associates P.C. can expect only the highest level of service, personal attention and consideration of all the details. From the initial consultation through finalizing the case, clients will be taken care of every step of the way. The law firm’s approach is simple. The firm strives to provide litigation services that are centered on helping those who have suffered wrong doing at the hands of their employers, changing lives one case at a time. The lawyers at Hyderally & Associates P.C. pride themselves in their ability to provide a transparent service and a reputation for results. For clients who are ready to take the next step, looking for employment law firm close by, contact the law firm today to speak to a New Jersey employment lawyer who can provide direction and clarity regarding any employment related legal matter at hand.